(Mark Huffman @ ConsumerAffairs) Scammers are really good at playing head games with their victims, in hopes they will reveal things they shouldn't. Sensitive information can be used to steal identities, money, or both. Whatever the scammers are doing, it appears to be working. The 2016 American Mobile Usage Survey found consumers are revealing twice as much sensitive information than they did last year. First Orion, the company sponsoring the survey, says consumers are bombarded by dubious telemarketers placing over 30 million calls to their mobile phones every day. With those kinds of numbers, it only makes sense that many consumers getting these calls will spill too much information. In particular, the survey found consumers are a bit too willing to give out their credit card numbers. First Orion estimates about 15 million consumers fell for a caller's pitch and request for a credit card. 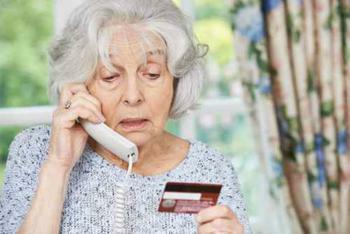 Worse, an estimated 10 million consumers gave scammers their Social Security numbers in response to a call. Sasse says scammers have moved to mobile phones in a big way, with 3% of consumers saying they got at least 10 such calls in the last month. Many people said they changed their mobile phone number in an effort to stop the calls. First Orion, of course, is in the business of blocking unwanted calls. Its PrivacyStar service is marketed to phone companies as well as consumers as a way to identify and block calls from robocallers, who are often scammers. As we reported last year, the PrivacyStar app also has a feature that could allow consumers to profit from all those unwanted robocalls, if they are from a real company doing business in the U.S. For consumers hounded with hundreds of robocalls from the same company, the app will refer them to consumer lawyers in their area. PrivacyStar provides the lawyers with the documentary evidence and the lawyers pursue settlements, often in the thousands of dollars. In the meantime, it goes without saying that anyone calling your cellphone out of the blue and trying to sell something or solicit information is probably up to no good. It's best to hang up, then use the feature on your smartphone to block the number in the future.